OK, we’ll be the first to admit that this thick, bold, eyebrow trend (which, mind you, seems to be less of a trend and more of a reality for the rest of our lives) isn’t as easy to pull off as it seems. Like, did all of these girls and guys on Instagram with literally flawless brows get invited to some secret seminar when we weren’t looking? How does it seem like everyone intrinsically knows how to fill in their brows with the perfect concoction of gels, pencils, and wax, and we’re over here still trying to decide if we’re more medium-brown or taupe? The good news is, though, that we’re not alone, because “how to fill in eyebrows” was one of the most-Googled questions of 2016. So we brought in an expert, makeup artist Ashleigh Ciucci, to show us, and you, exactly how to fill in our brows with as minimal effort, time, and frustration as possible—all broken down in easy-to-digest gifs, because we’re nice like that. So click through to see our how-to, and get ready to have ridiculously good-looking brows in just a few minutes. Using a pencil one shade lighter than your natural eyebrow color, draw a skinny line across the bottom of your brow, starting at the inner corner and extending the line all the way through the tail of your eyebrows. 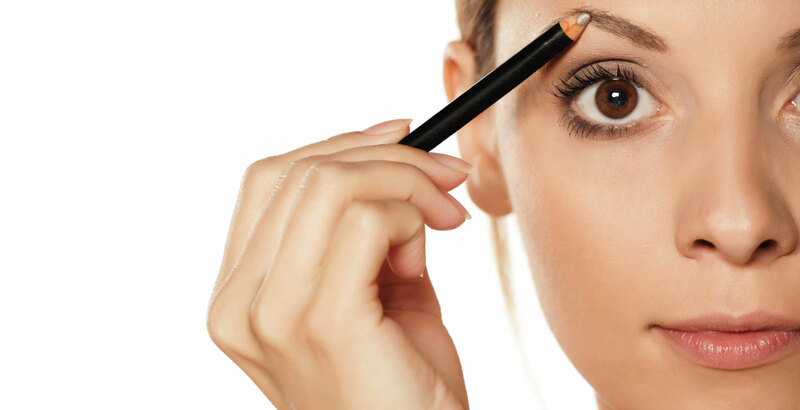 Lightly fill in your eyebrow by softly shading back and forth with the side of your pencil. Be careful not to draw too closely to the top edge of the brow, or you'll get that squared-off, Groucho Marx look. The difference between beginner- and expert-level brows is in the blending. Using a clean spoolie, brush your brows up and over, moving from the inner corner to the tail of your brows. Repeat until all lines and marks (especially that initial line you drew) blend in seamlessly with your brow hairs. Brow gel is always optional, but if your brows tend to get unruly—or if you like a more polished—finished look, brush a clear brow gel (for shine and hold) or a tinted brow gel (for a thicker, bolder finish, plus a dose of shine) through your brows, using short strokes to pull the hairs up and over. Preferably with a wind machine and a few paparazzi-level cameras to capture your excellent new brows.